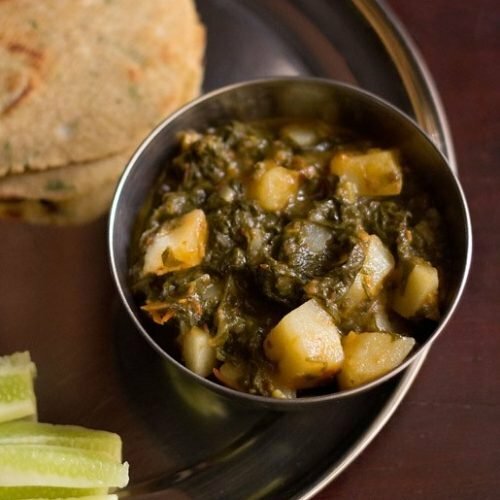 aloo palak recipe for fasting or vrat. this is a no onion no garlic spinach potato curry made for navratri fasts. vrat ke aloo palak recipe with step by step photos- this is a simple and easy aloo palak sabzi recipe which you can make for navrati fasting or vrat. 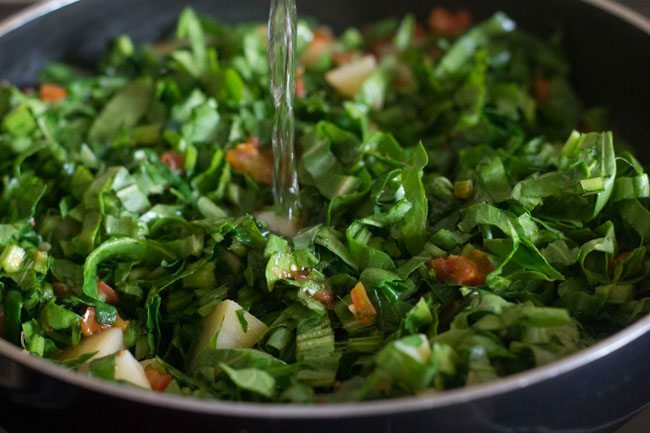 some people don’t use palak or spinach during navratri vrat, so please consult your family elders to know about the navratri rules followed in your family. 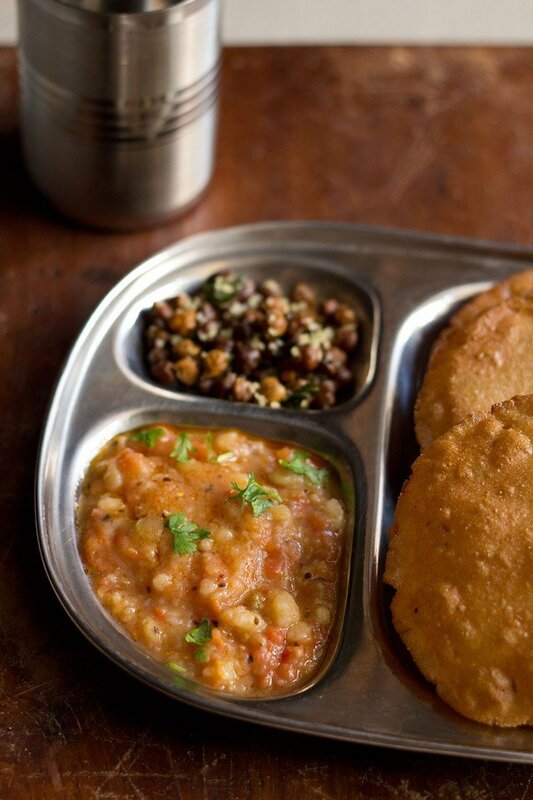 you can also have a look at the general navratri vrat rules and recipes. 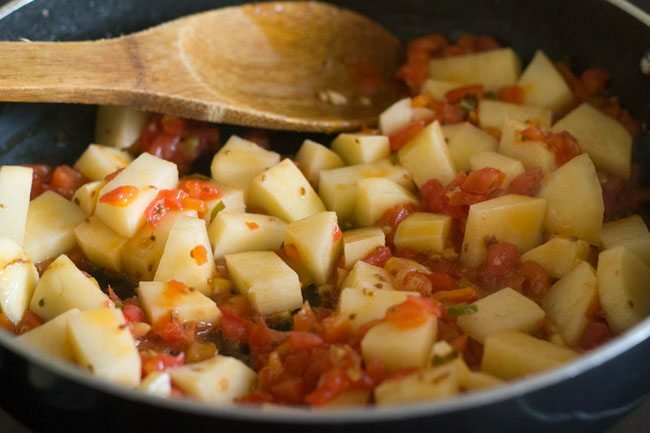 many recipes are made with aloo or potatoes during fasting period. 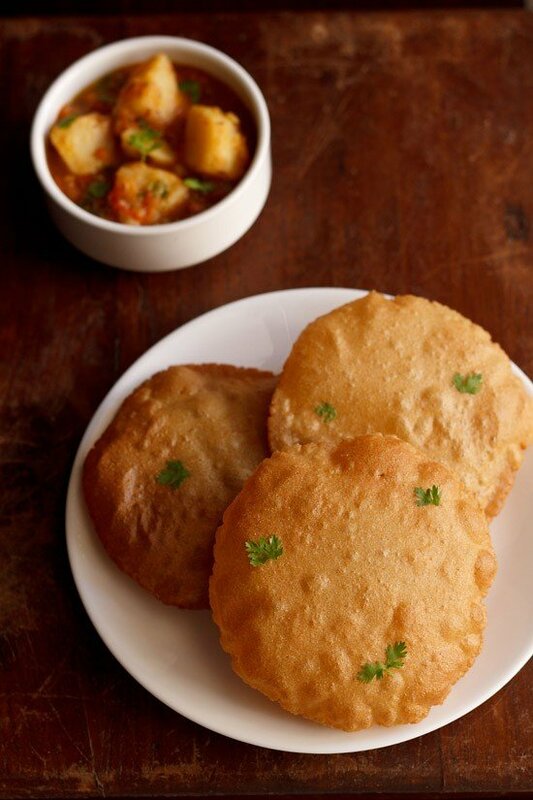 a few more aloo recipes you can make for navratri vrat are vrat ke aloo, aloo jeera, aloo chaat, dahi aloo and aloo tamatar ki sabzi. 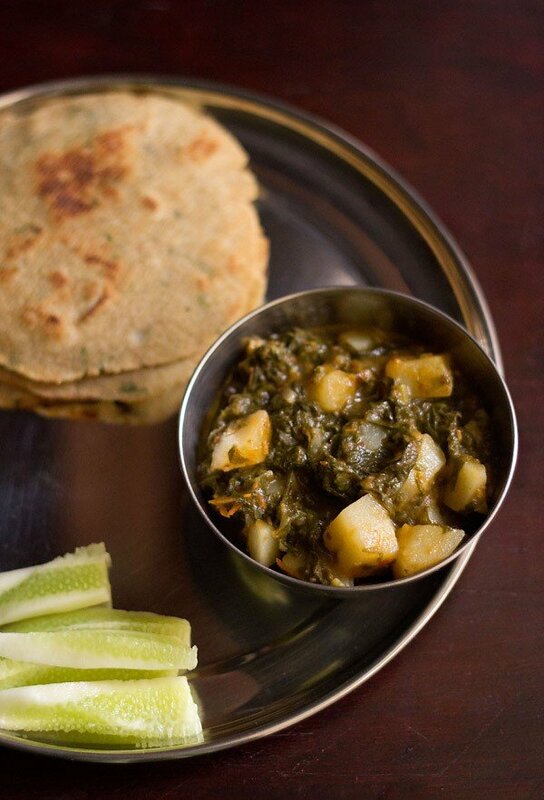 since this aloo palak sabzi is made for fasting, onions and garlic are not used. i also have used only those spices and herbs which are used in navratri vrat. 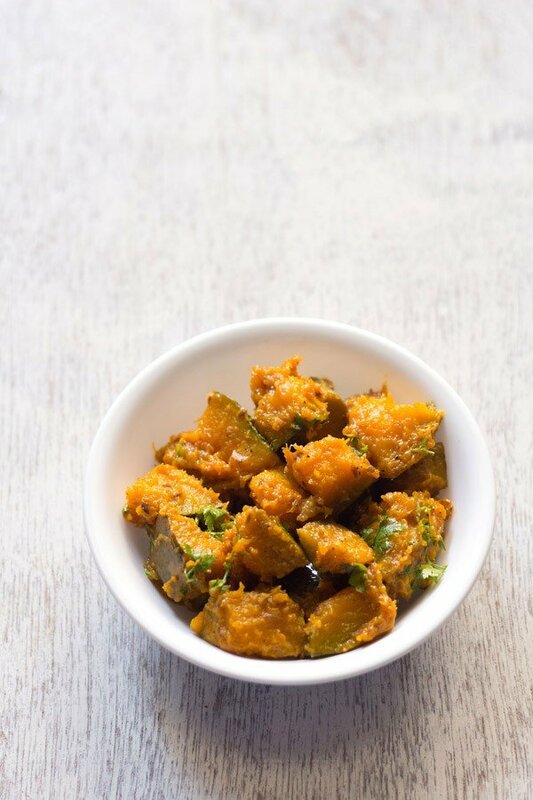 addition of carom seeds or ajwain gives a nice aromatic flavor and taste to the aloo palak sabzi. this a semi gravy dish. 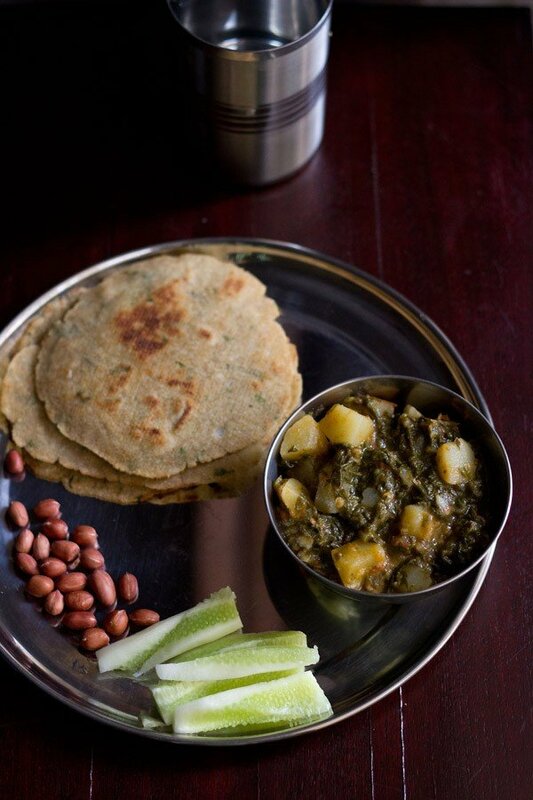 you can serve this aloo palak sabzi with singhare ki poori or rajgira ki poori or kuttu ka paratha. 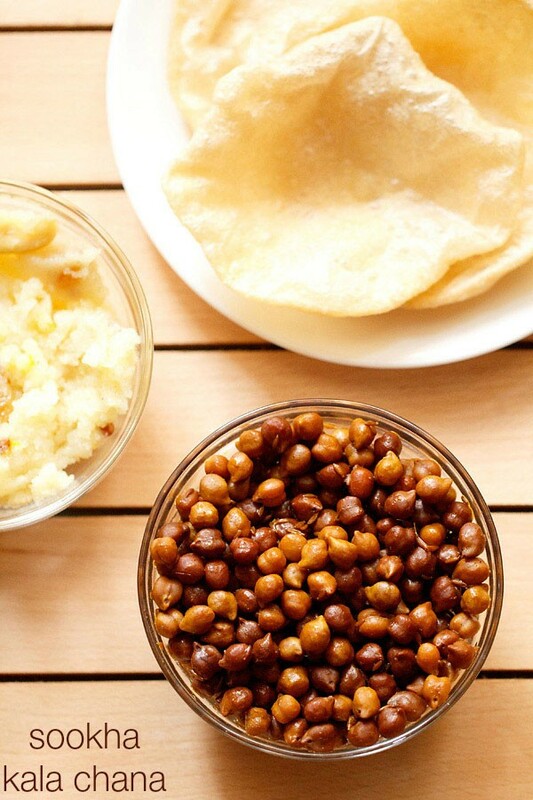 if you are looking for more navratri recipes then do check sabudana vada, sabudana khichdi, vrat ki idli, peanut amti, jeera aloo and vrat ka halwa. add the ginger and green chilies. fry on a low flame till the raw aroma of the ginger goes away. add the tomatoes and saute for 3-4 minutes on a low flame. 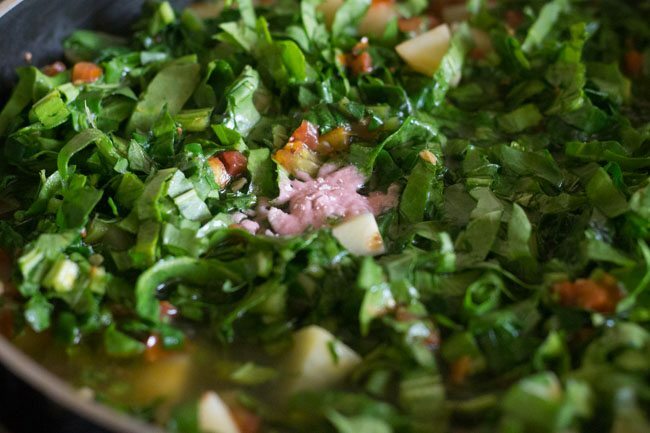 add the aloos and saute again for 2-3 minutes stirring in between. add the palak/spinach and stir well. pour water and add rock salt. 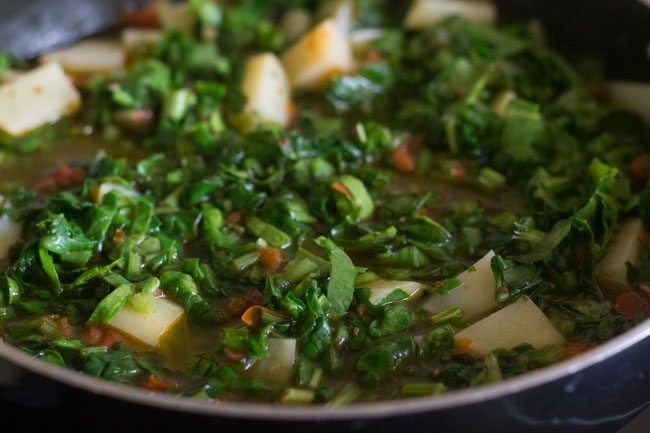 simmer aloo palak curry on low to medium flame for 15-20 minutes or more till the potatoes are cooked. 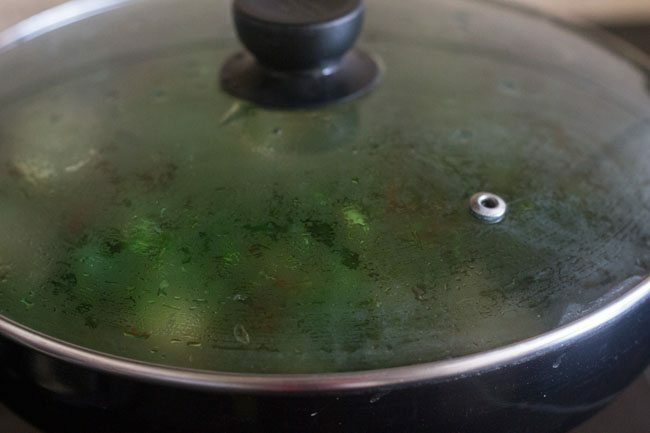 check for a few times in between and if the veggie mixture looks dry, then add ½ cup of water and continue to simmer. when the potatoes are cooked and the aloo palak curry has become semi dry, remove from the flame. 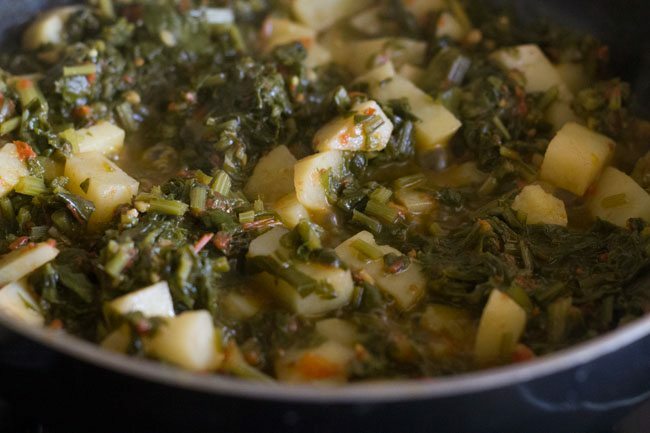 serve aloo palak sabzi hot. 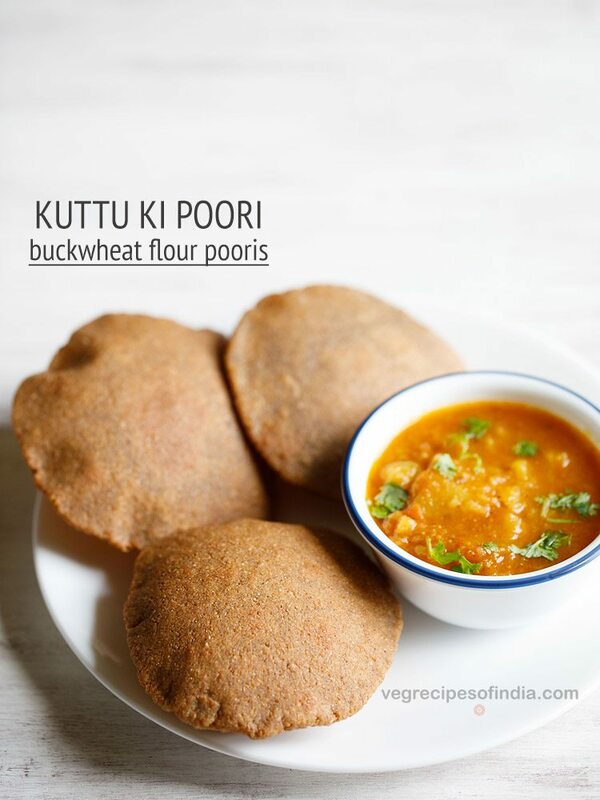 if not making for fasts, then you can also add a pinch of asafoetida in the recipe. 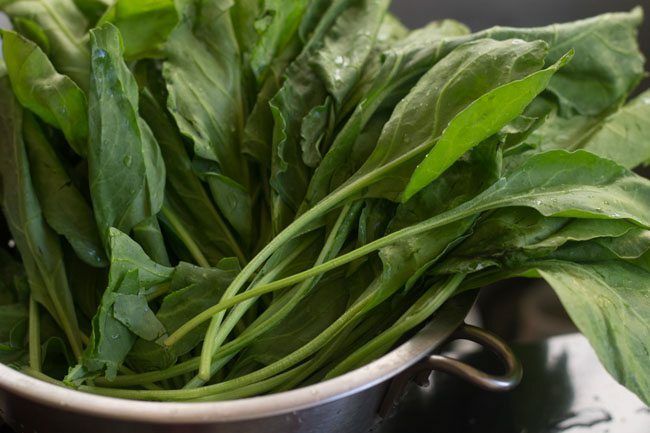 1. firstly rinse 1 bunch of spinach leaves (palak) in water a couple of times. 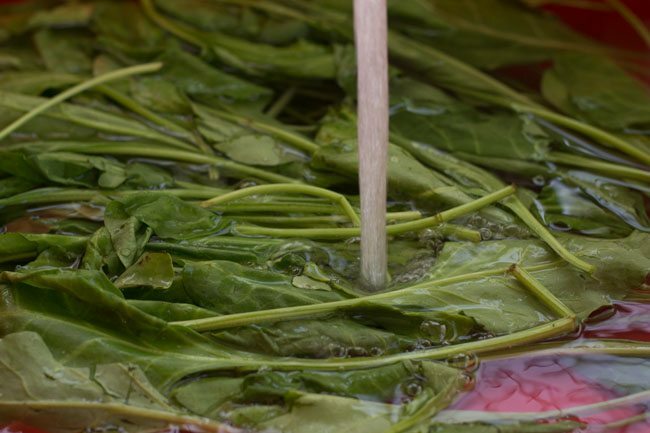 i usually wash any leafy greens in a big vessel along running tap water. 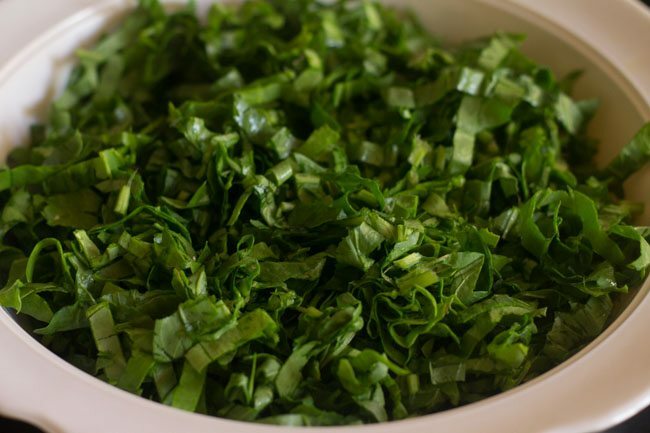 2. place the rinsed spinach leaves on a colander and drain the water. 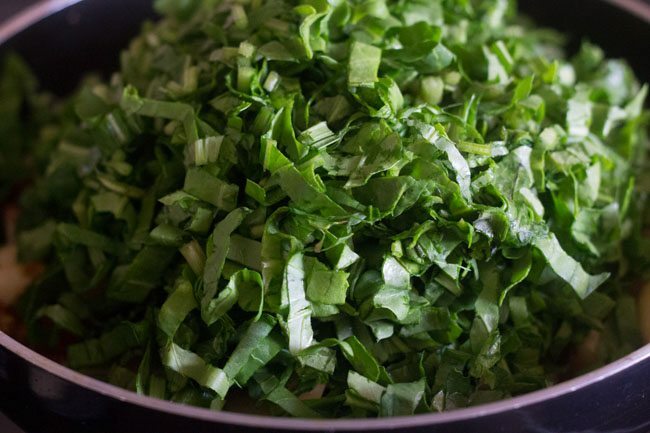 3. chop the spinach leaves and place aside. 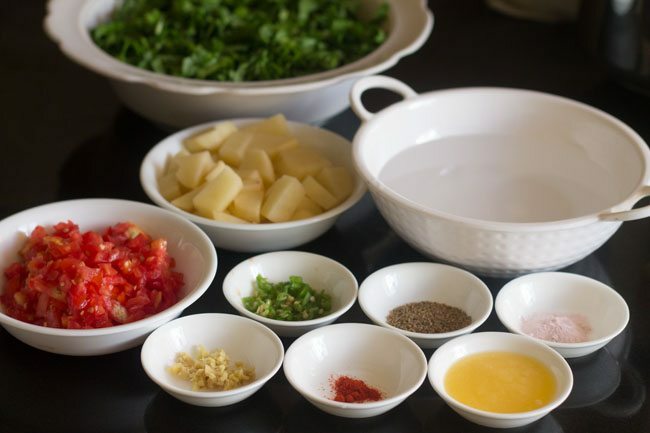 4. measure and keep all the ingredients ready for making aloo palak sabzi. 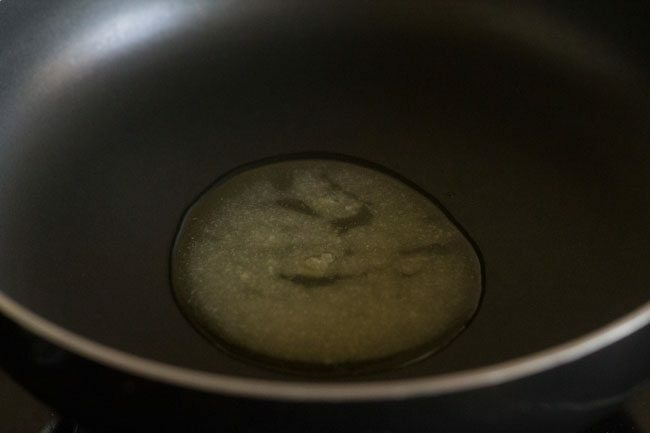 5. heat 1 tablespoon oil or ghee in a pan. 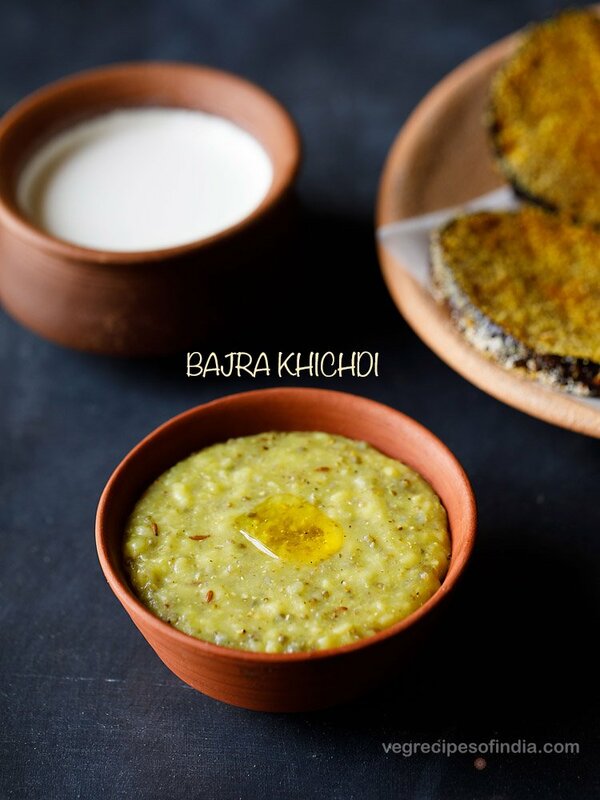 6. crackle ½ teaspoon ajwain (carom seeds). 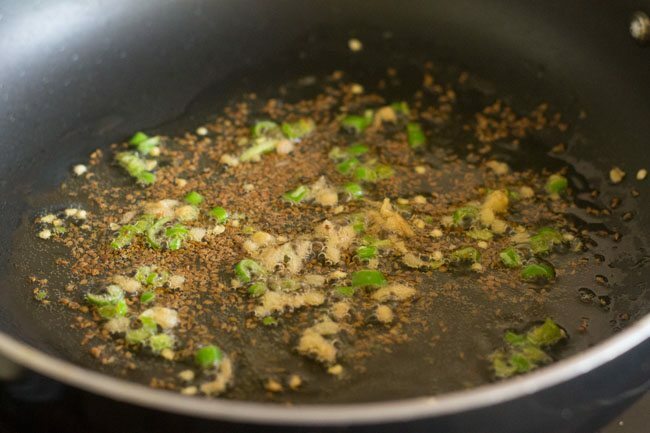 7. then add ½ inch finely chopped ginger and 1 finely chopped green chili. 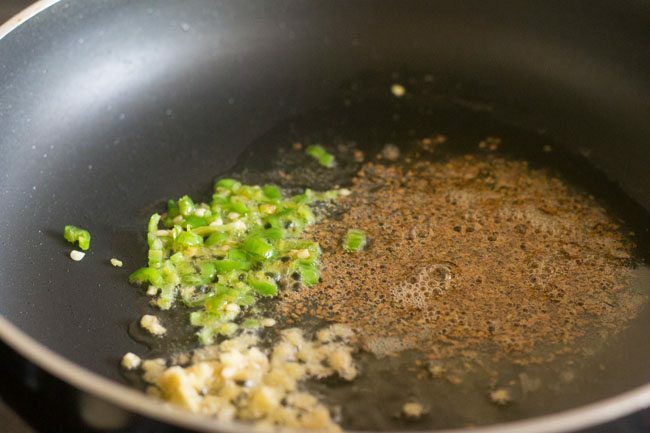 8. saute on a low flame till the raw aroma of the ginger goes away. 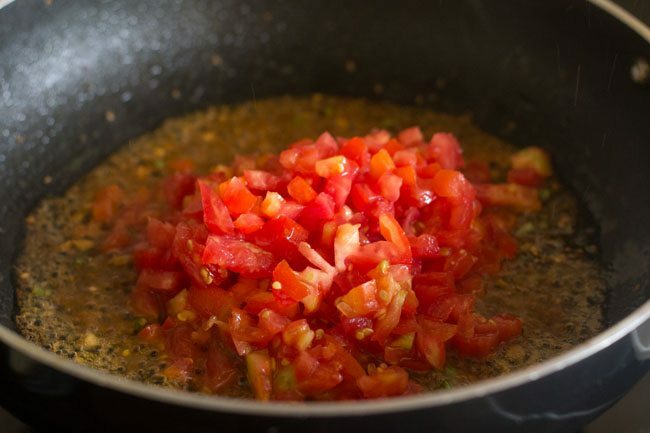 9. now add 2 medium to large sized tomatoes which are finely chopped. 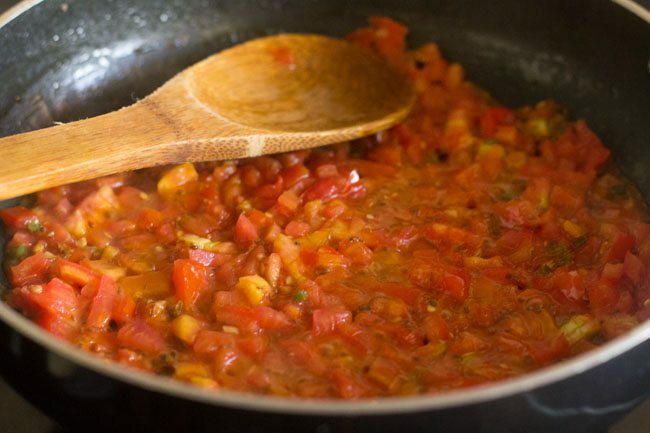 10. saute the tomatoes for 3 to 4 minutes on a low flame. 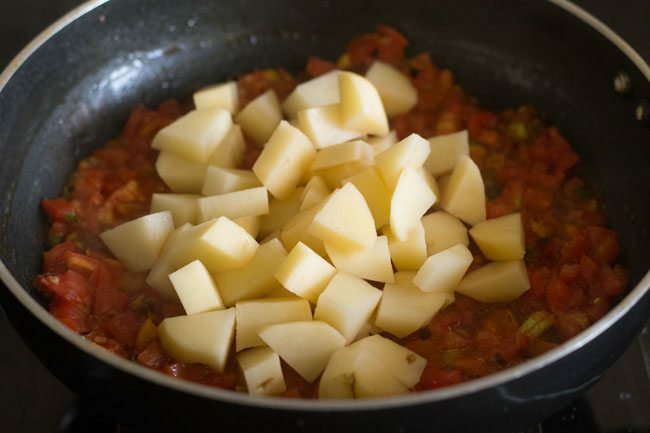 11. then add 1 large sized potato which is peeled and cubed. 12. saute again for 2-3 minutes stirring in between. 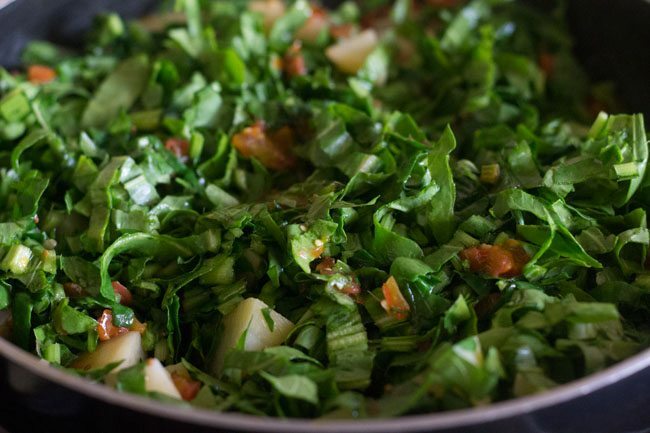 13. add the chopped palak (spinach leaves). 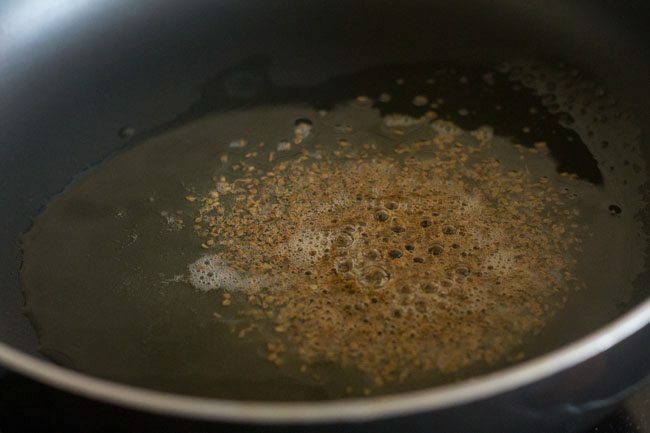 14. stir and mix very well. 15. pour 1.5 cup water. 16. next add rock salt or sendha namak as required. 18. cover the pan with a lid. 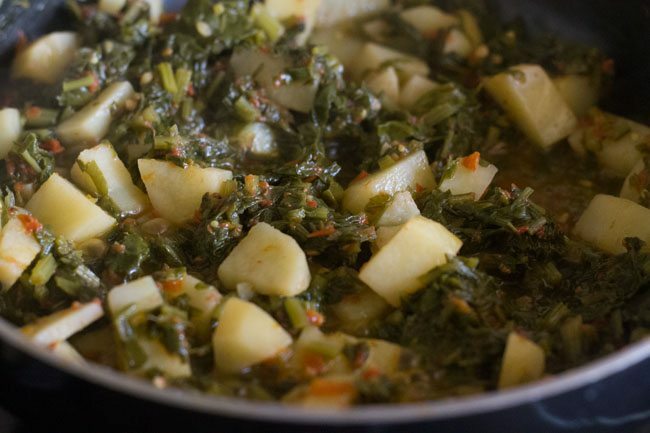 19. simmer aloo palak curry on low to medium flame for 15-20 minutes. 20. take 1 to 2 potatoes in a spatula and check if they have cooked and become soft. if potatoes are not cooked then continue cooking for some more time, till the potatoes are cooked. 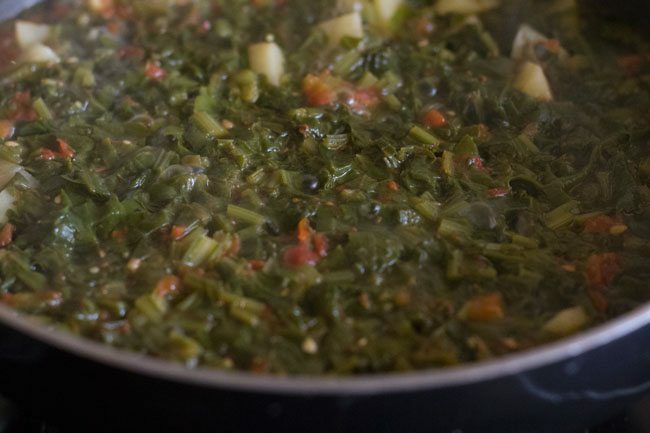 21. check for a few times in between and if the aloo palak sabzi looks dry, then add some more water and continue to simmer. 22. when the potatoes are cooked and the aloo palak curry has become semi dry, then remove from the flame. 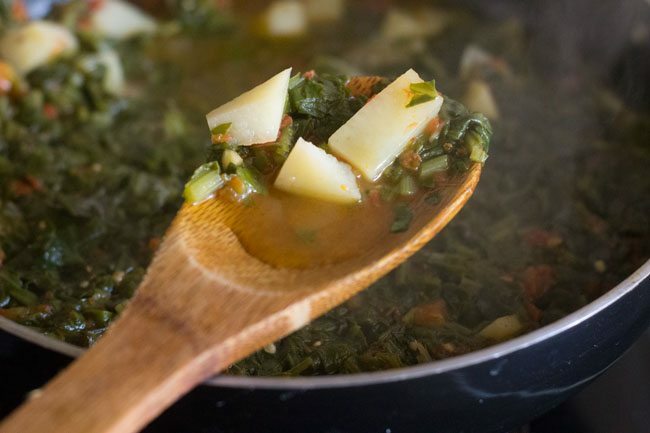 23. serve aloo palak sabzi hot. Tried it replacing aloo with sweet potato. Delicious!